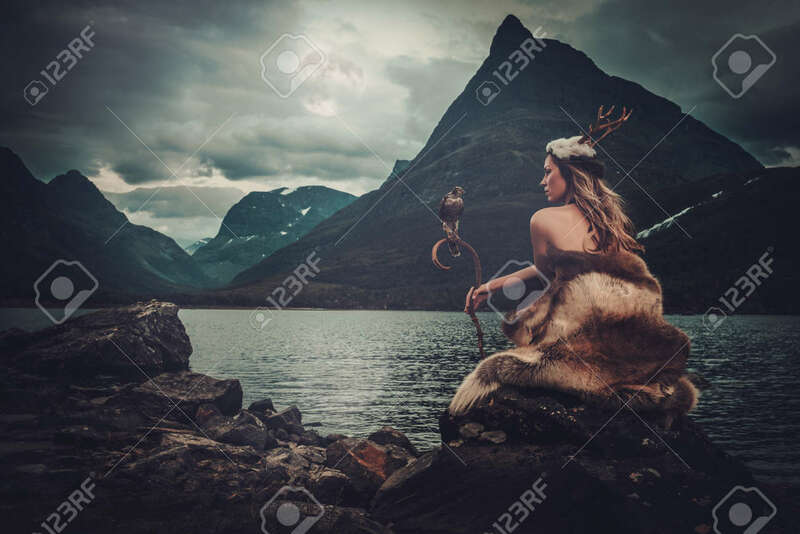 Nordic Goddess In Ritual Garment With Hawk Near Wild Mountain.. Stock Photo, Picture And Royalty Free Image. Image 60870755. Stock Photo - Nordic goddess in ritual garment with hawk near wild mountain lake in Innerdalen valley, Norway. Nordic goddess in ritual garment with hawk near wild mountain lake in Innerdalen valley, Norway.